One of the most beautiful Central Brasil Dyckias. 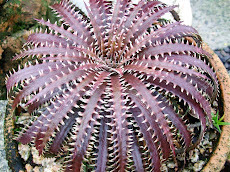 Flatter and fatter than the type form it also presents bigger, harder and firmer spines. 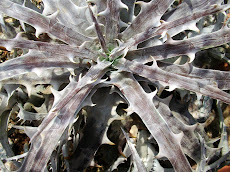 More than a new marvel or a stunning novelty it is an intriguing one. 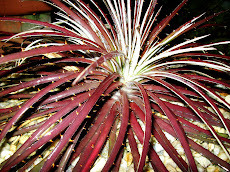 Here I show it still damp in the morning April dew. 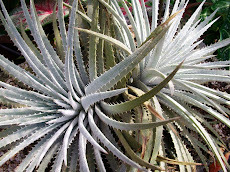 Observing and comparing this new plant presents less rubbery spines. 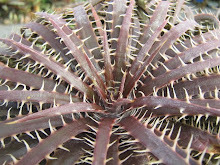 The spines here are a bit more firm and do not bend by the mild touching. 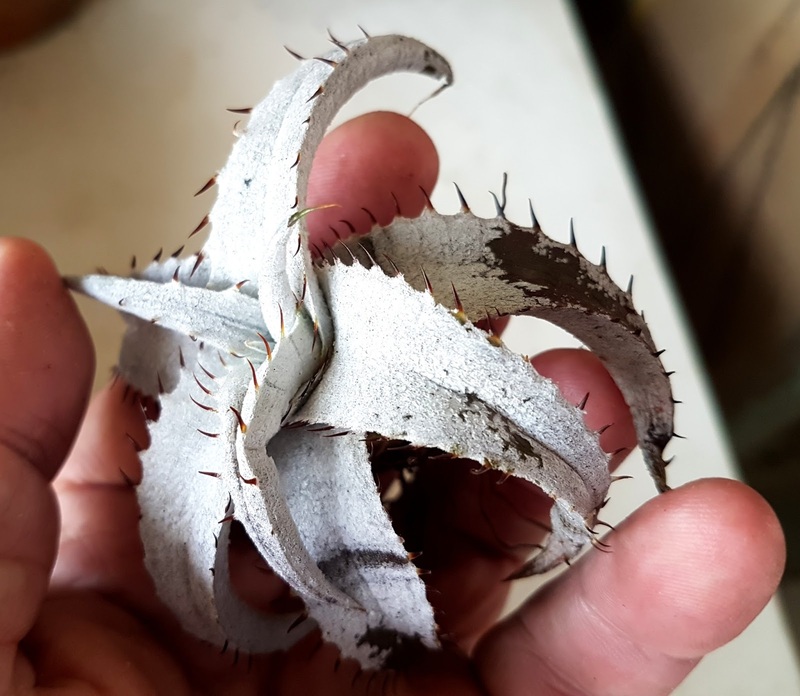 It does hurts and is not so delicate. 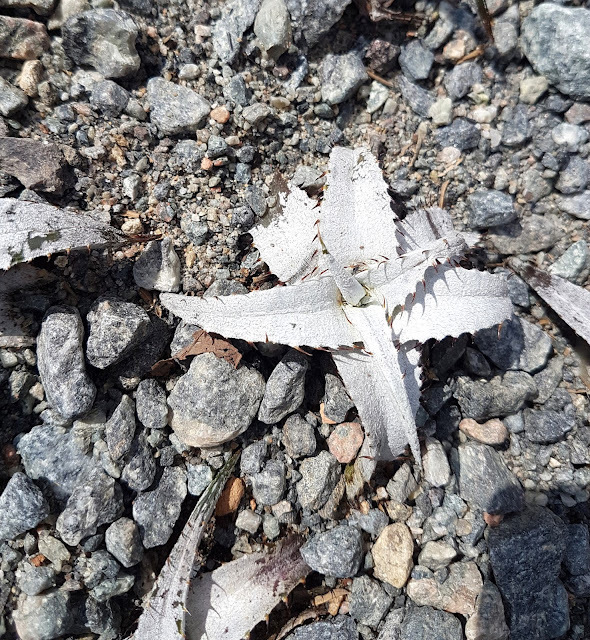 this new spot in nature is far far away from the delicata type form place, no one expected to see this there so far away and no one to be found in between them up to now. 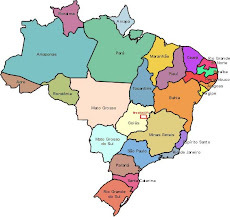 Delicatas are found in Rio Grande do Sul, the southernmost Brazilian State. 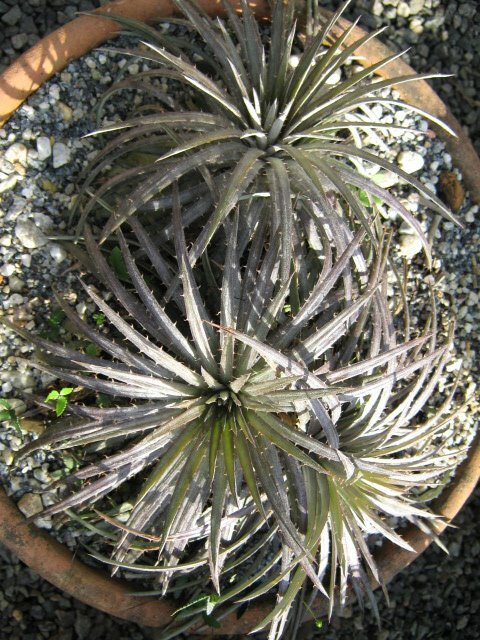 the type form comes from Barros Cassal, a small town there. 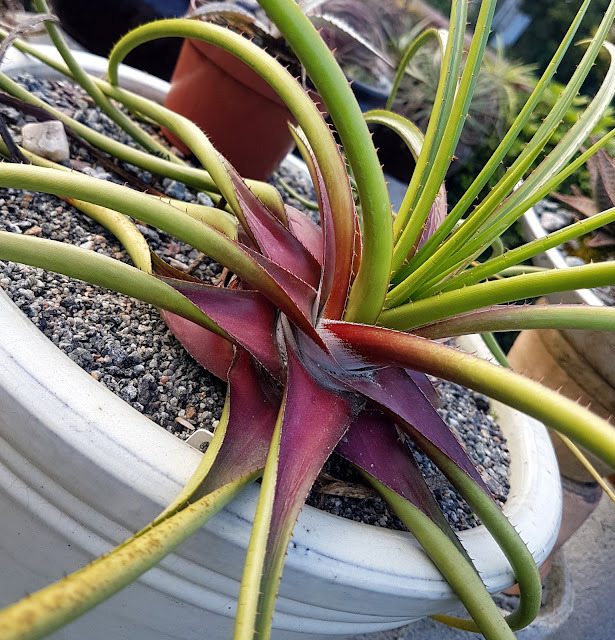 This plant was found on a video shown on FaceBook by a group of eco loving guys. 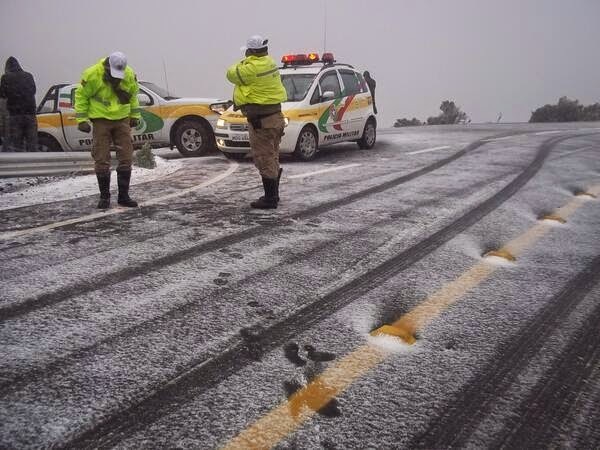 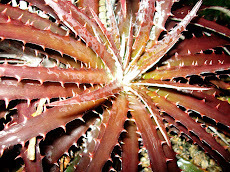 It called the right attention and what a surprise! 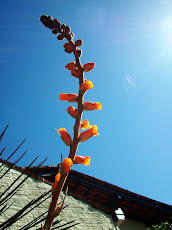 We are still to see its blooming. 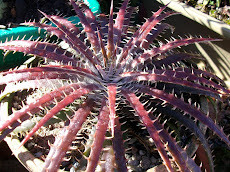 Up to now the differences are in the spines, the new form they are bigger and firmer and the new plant is a lot flatter. 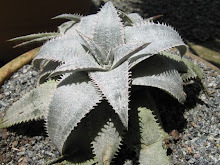 Also the leaves are a lot more succulent than the type form and they brittle easily. 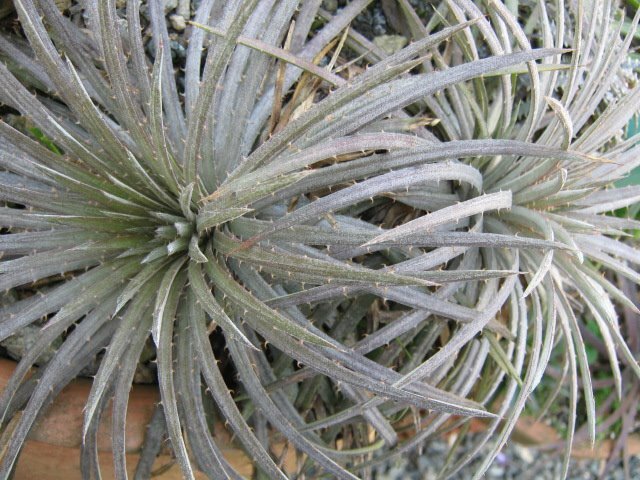 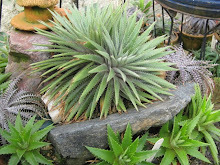 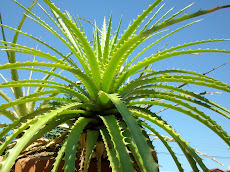 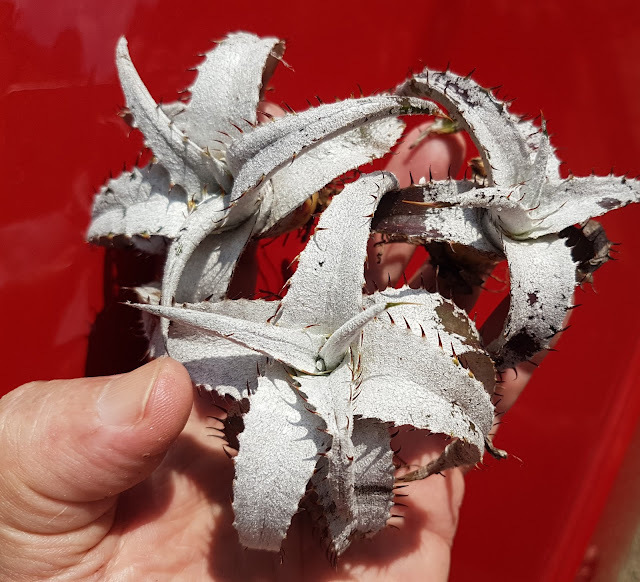 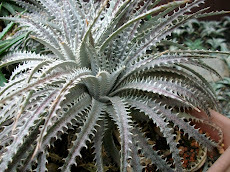 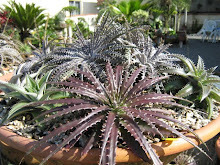 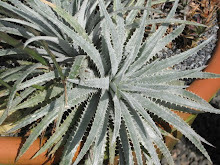 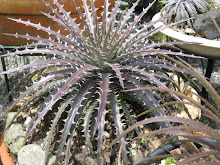 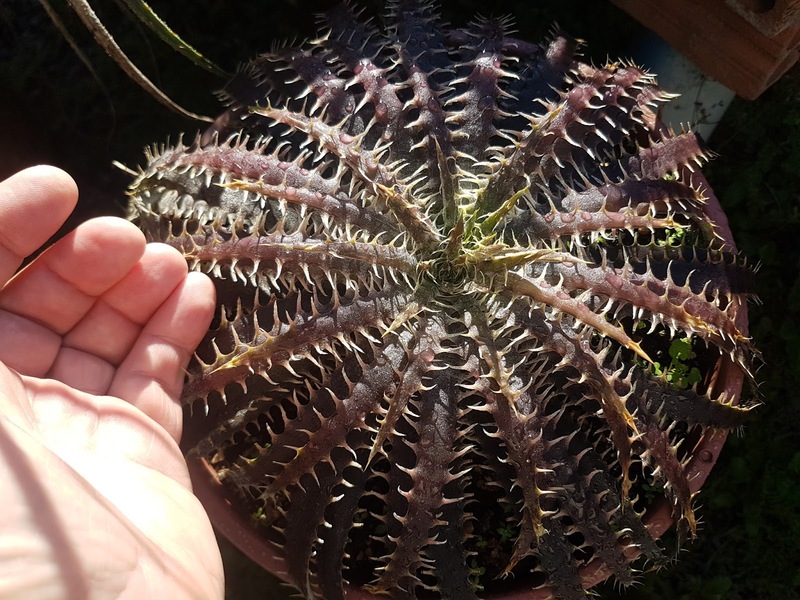 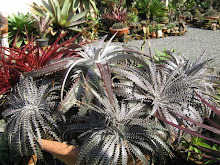 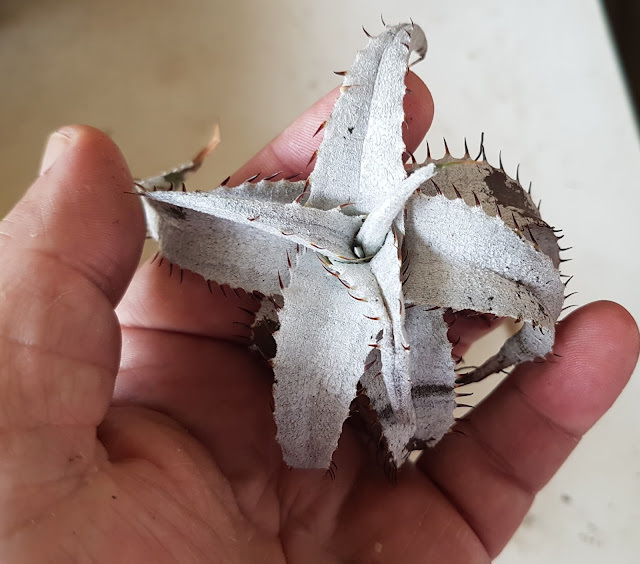 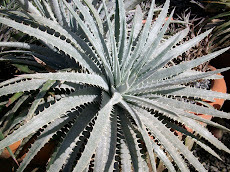 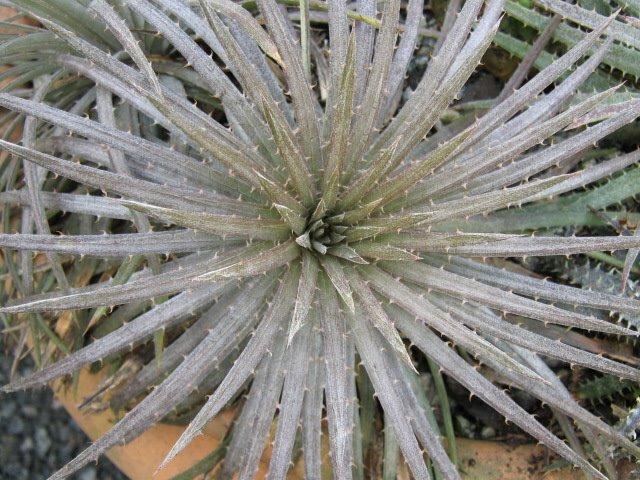 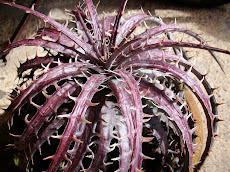 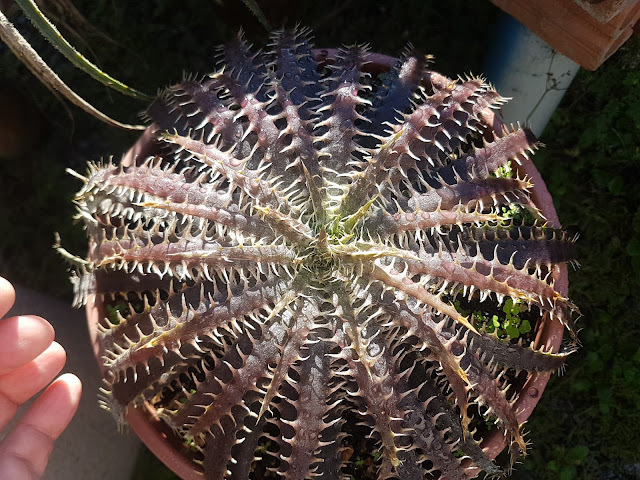 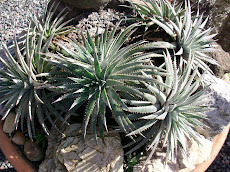 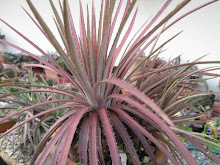 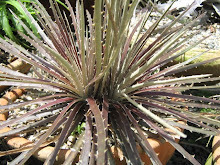 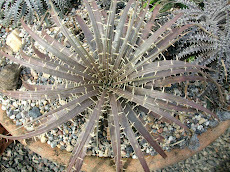 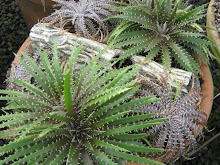 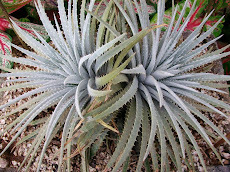 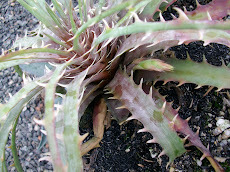 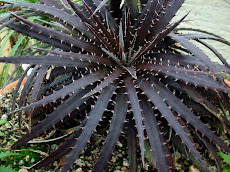 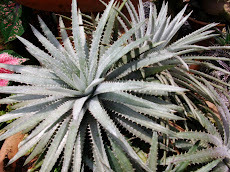 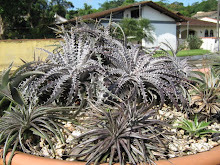 Dyckia paraensis comes from Pará an Amazonian Brazilian state. 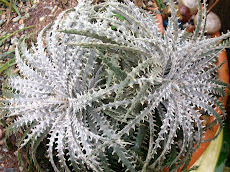 It is a species and an already described one. 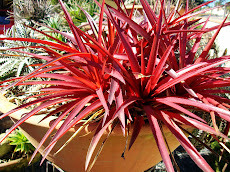 It color is true year around and its leaves are so too. 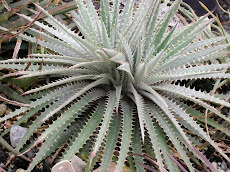 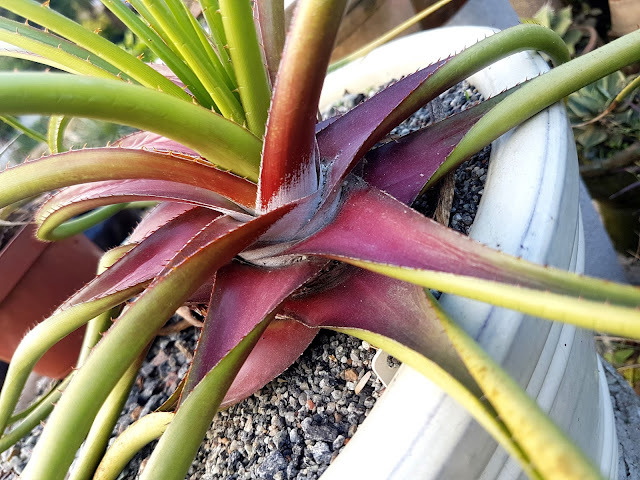 A true much esquisite plant. One that I love the most. The plant is not suffering! 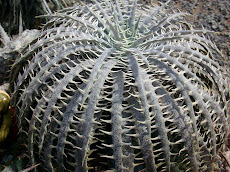 Its leaves are funneled and contorted. 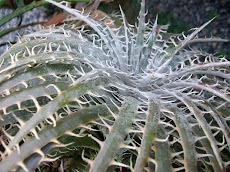 Scales, white ones are presented close to the trunk. 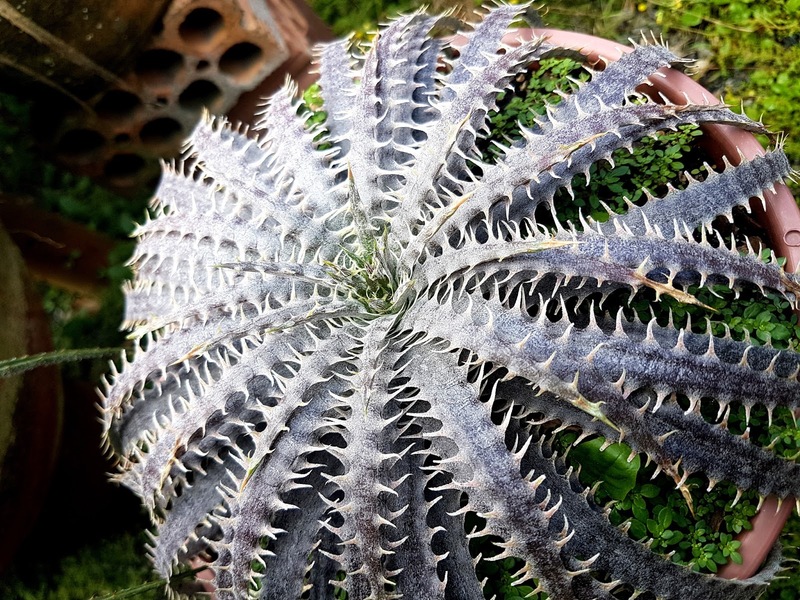 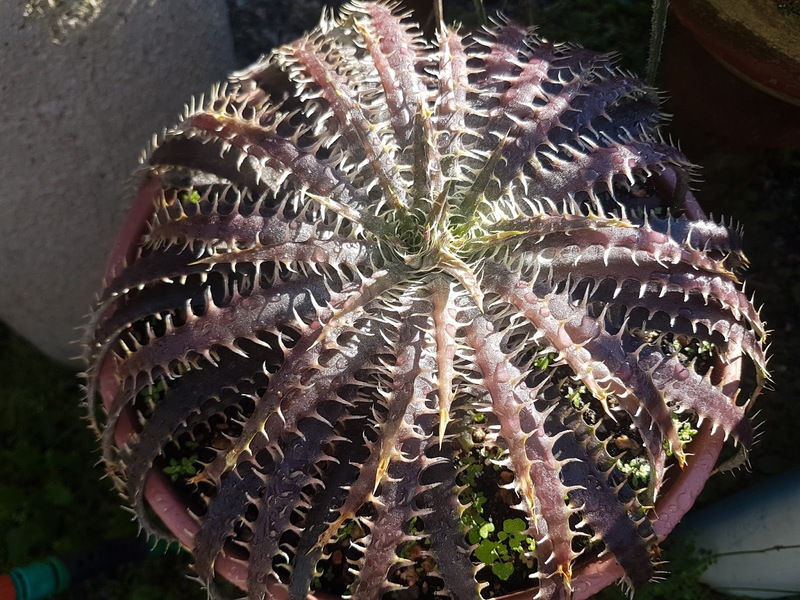 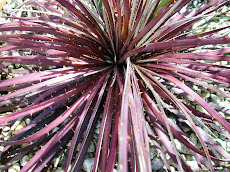 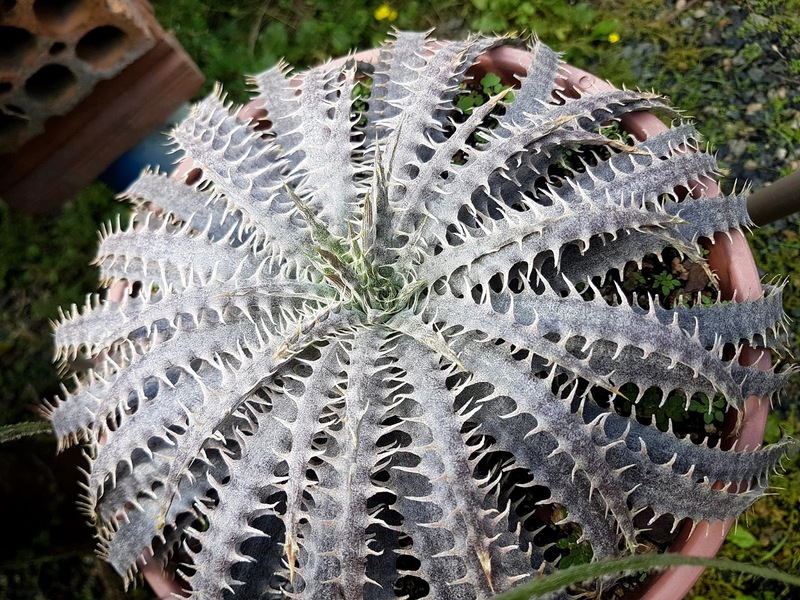 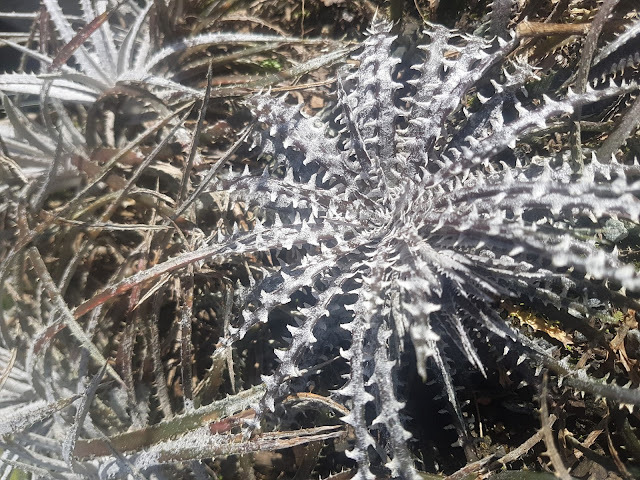 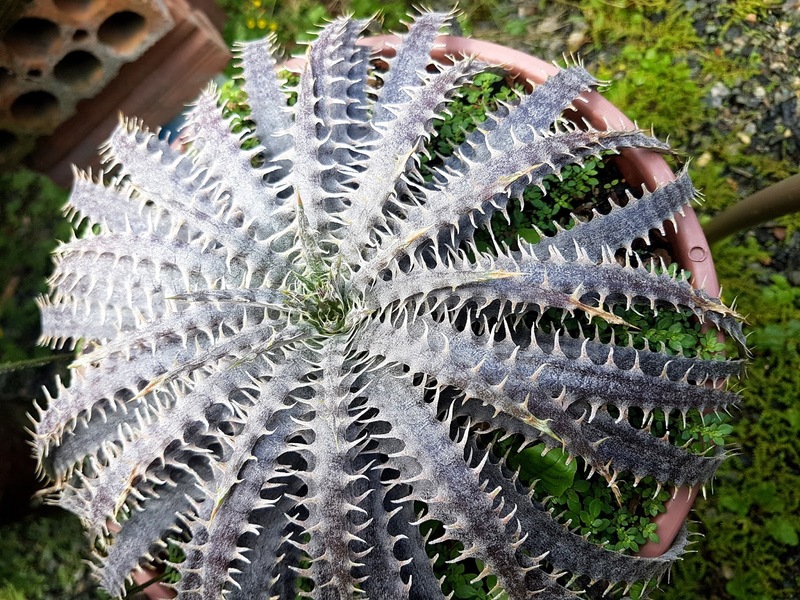 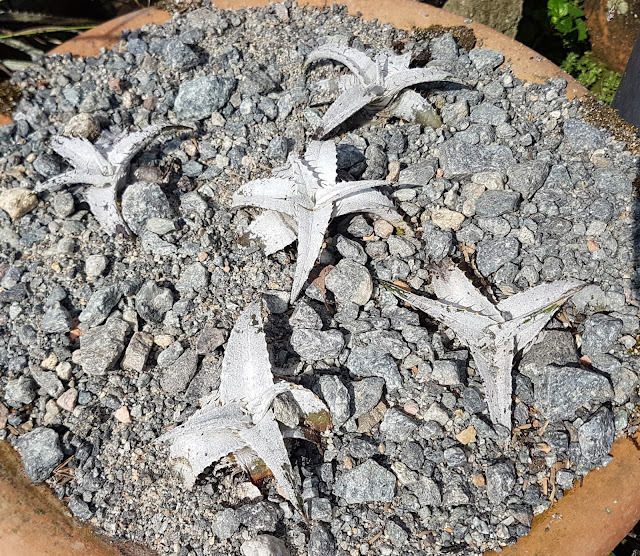 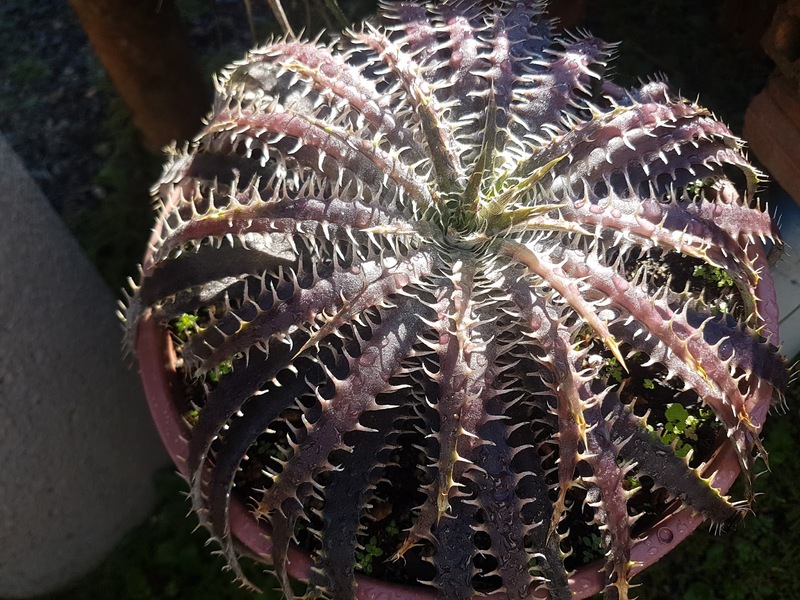 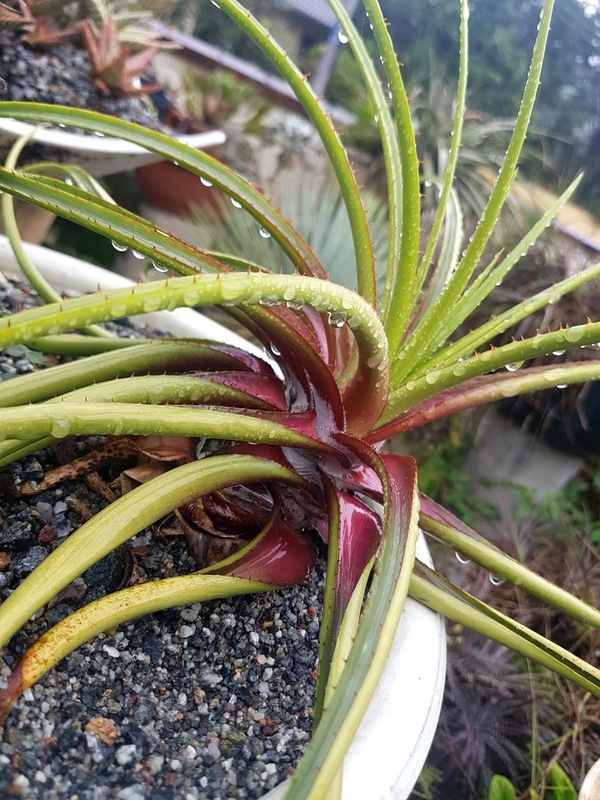 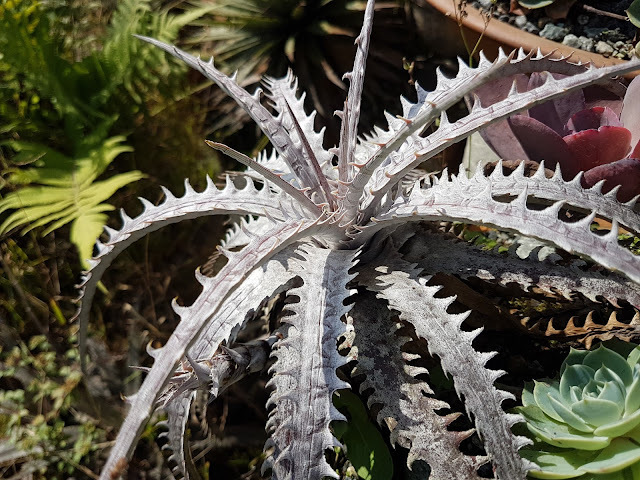 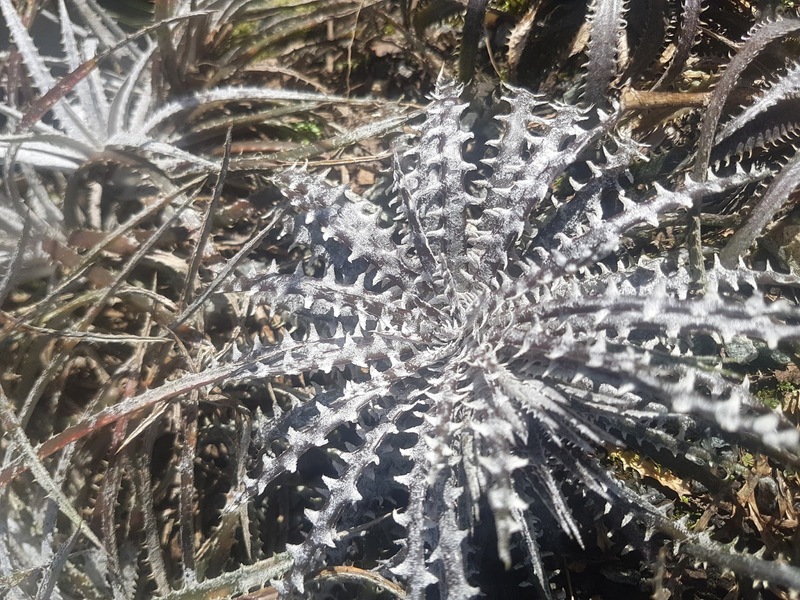 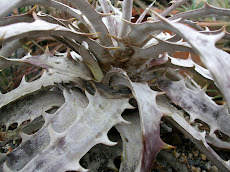 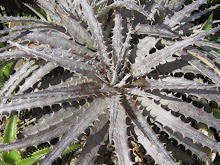 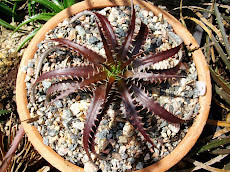 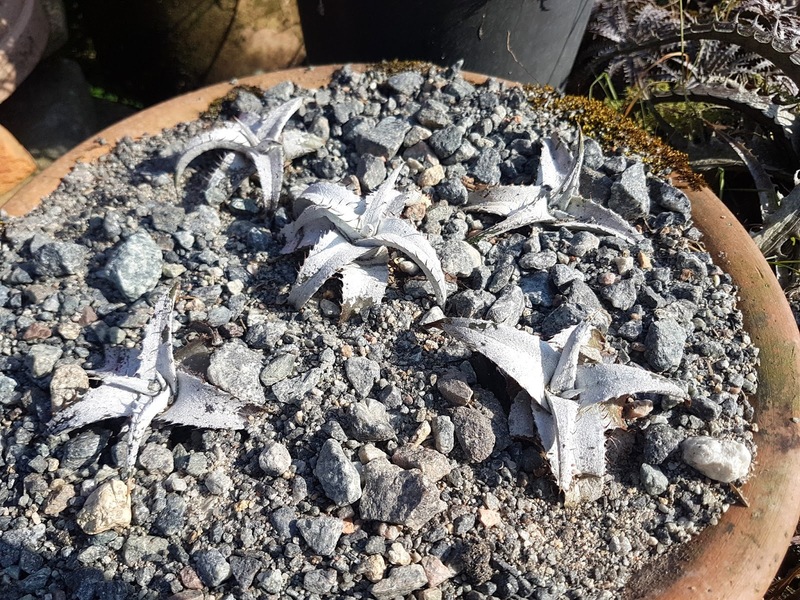 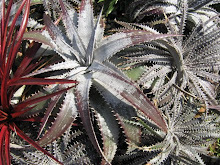 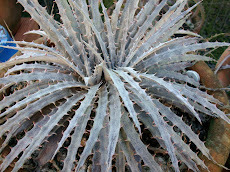 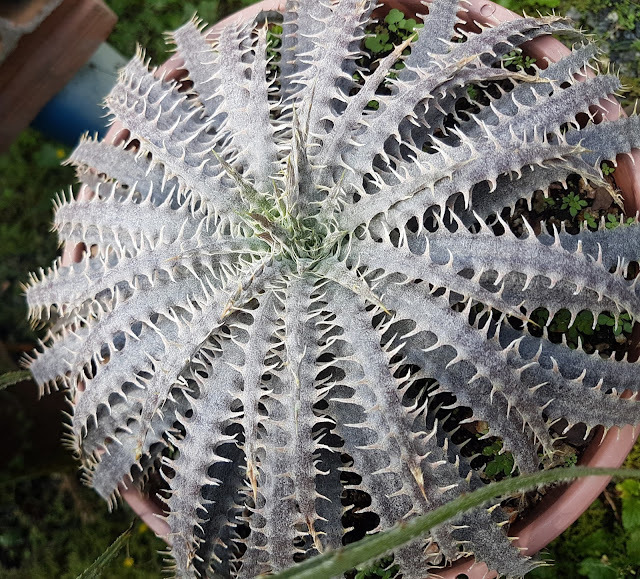 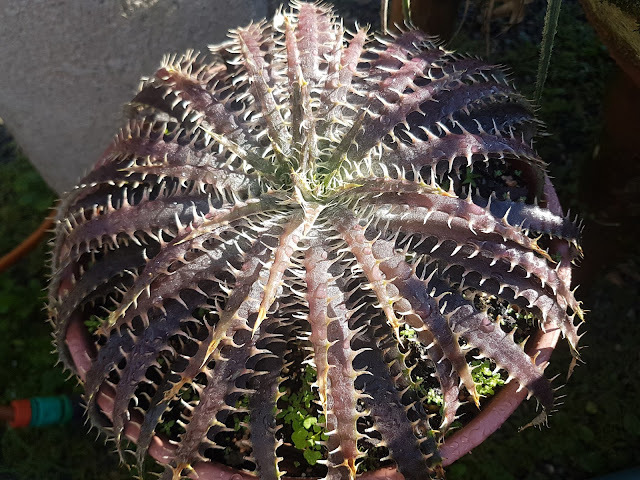 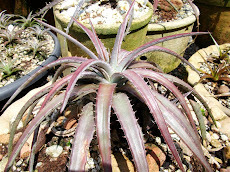 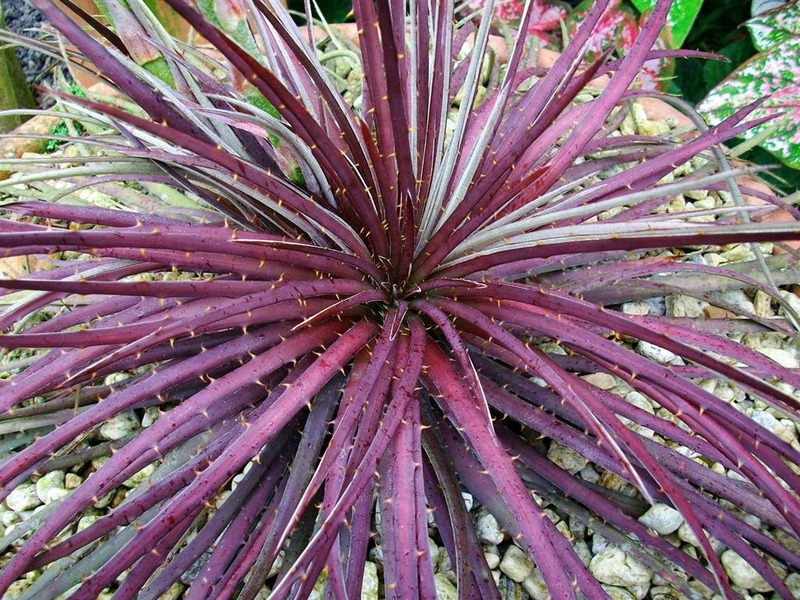 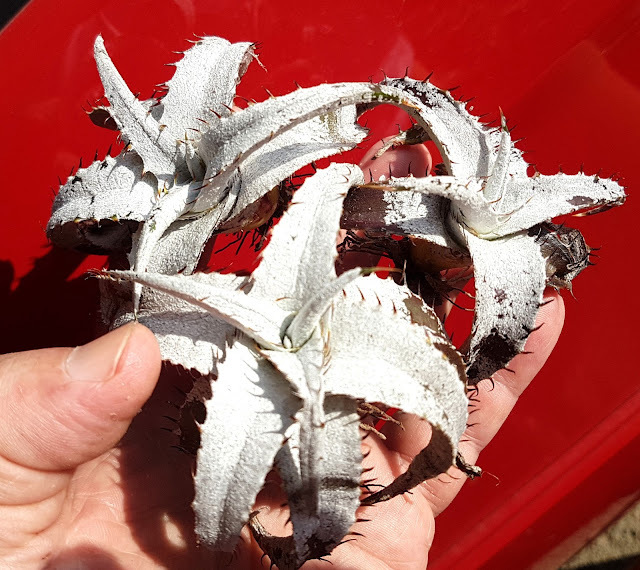 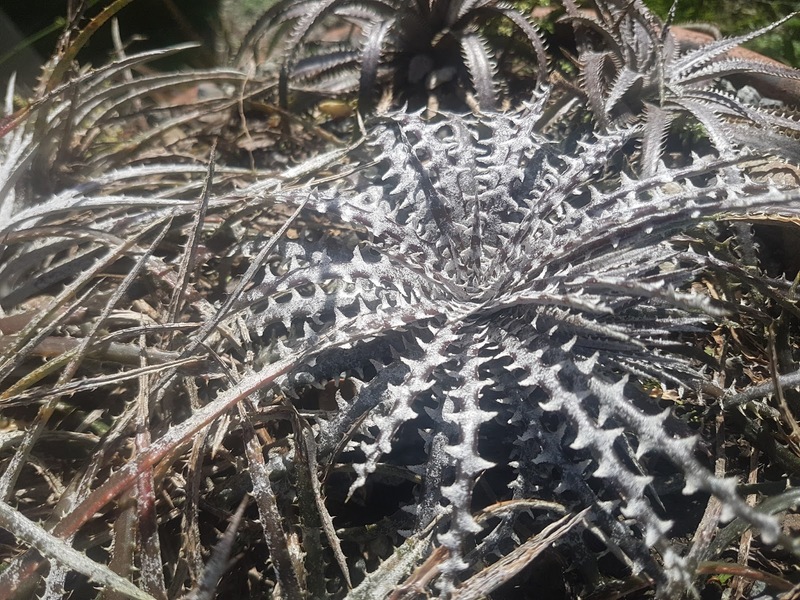 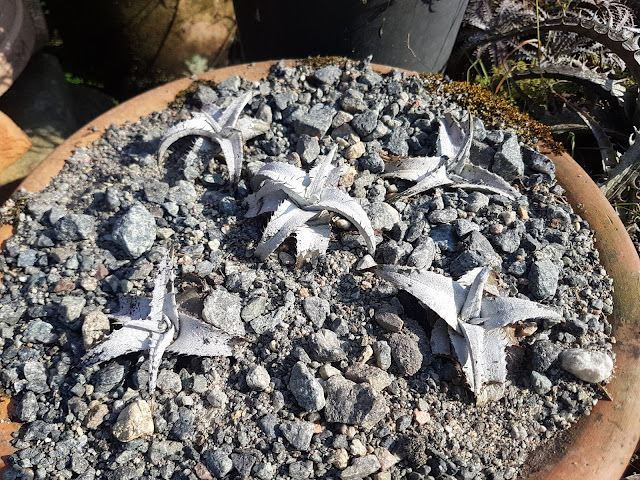 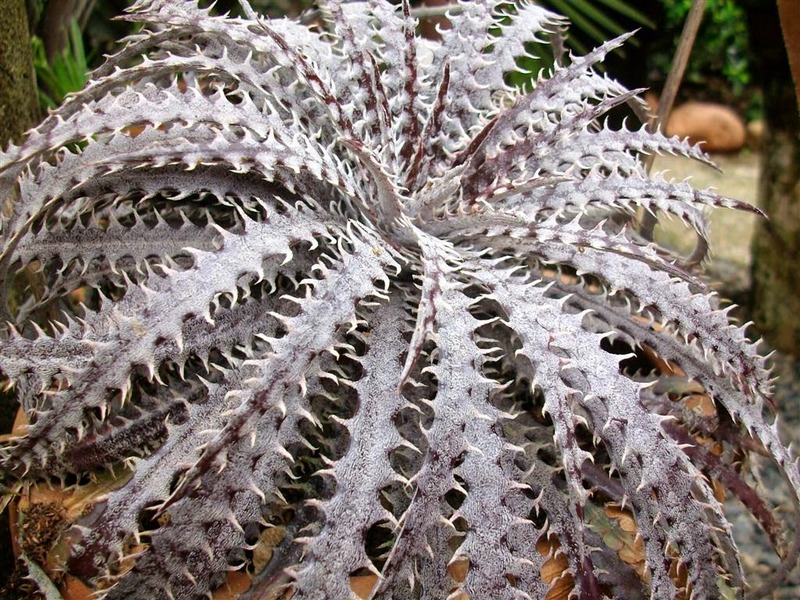 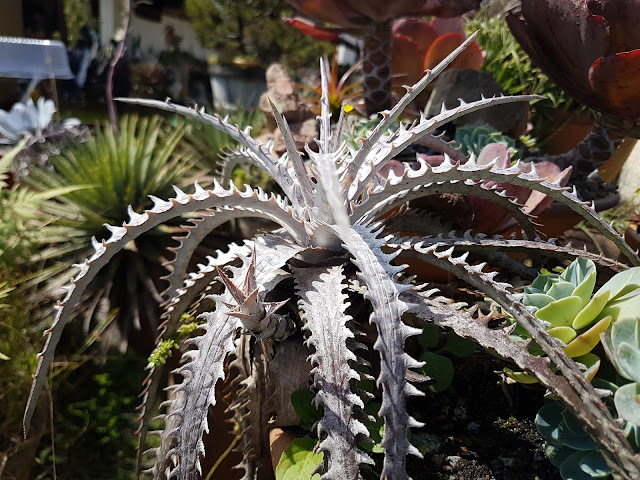 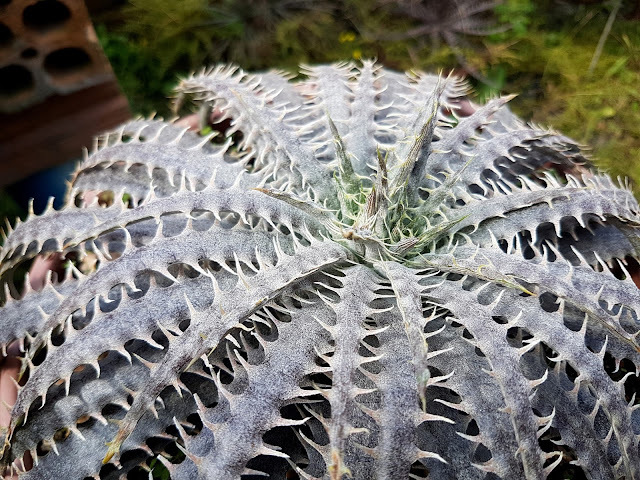 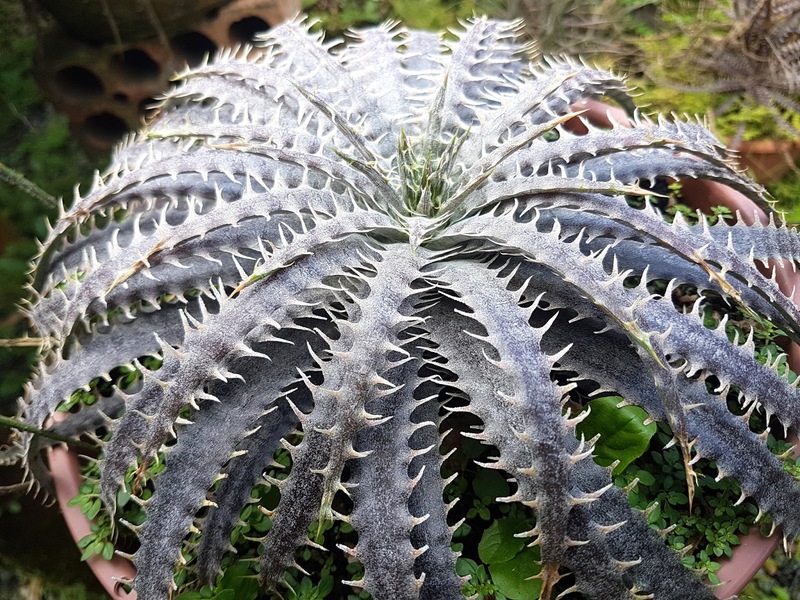 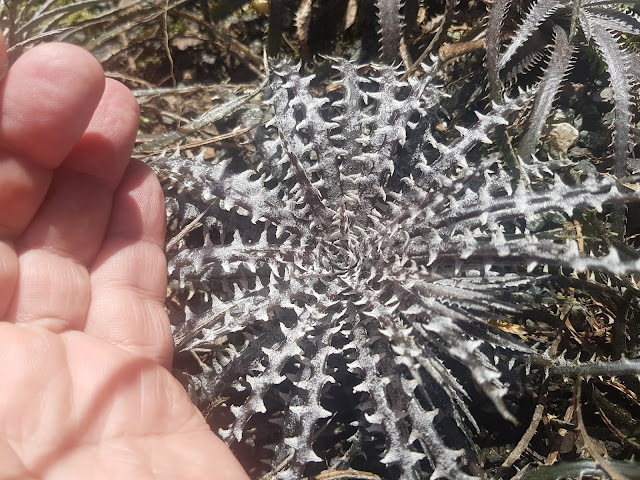 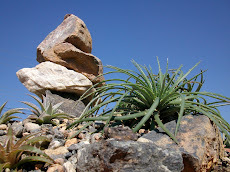 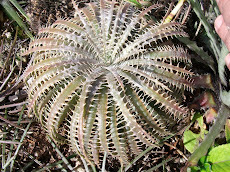 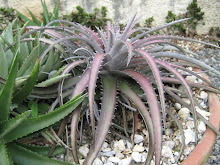 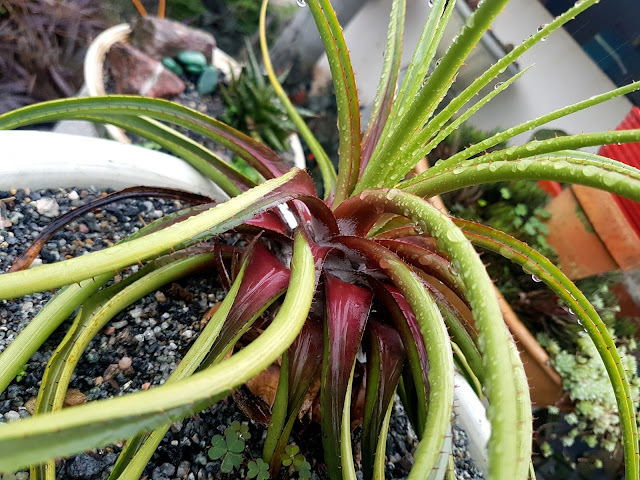 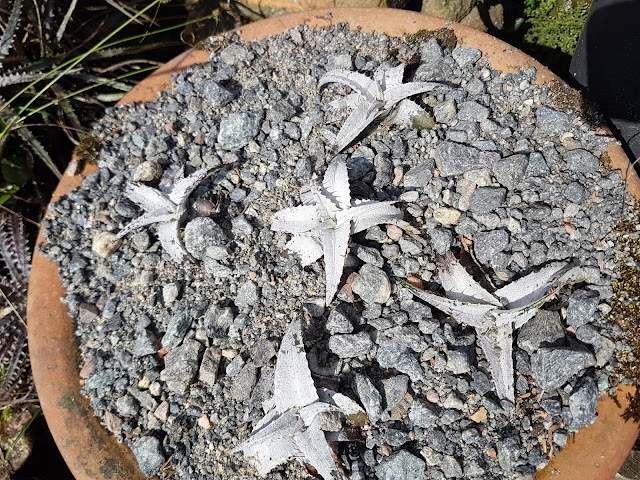 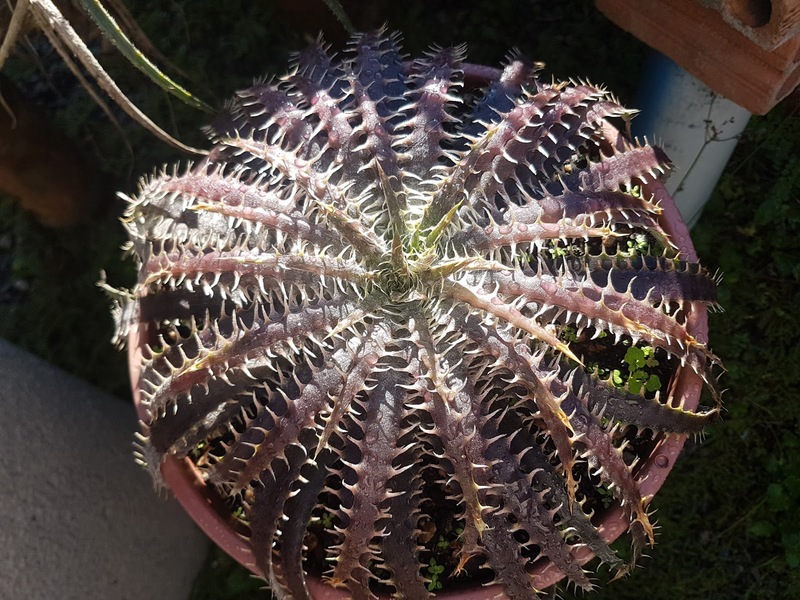 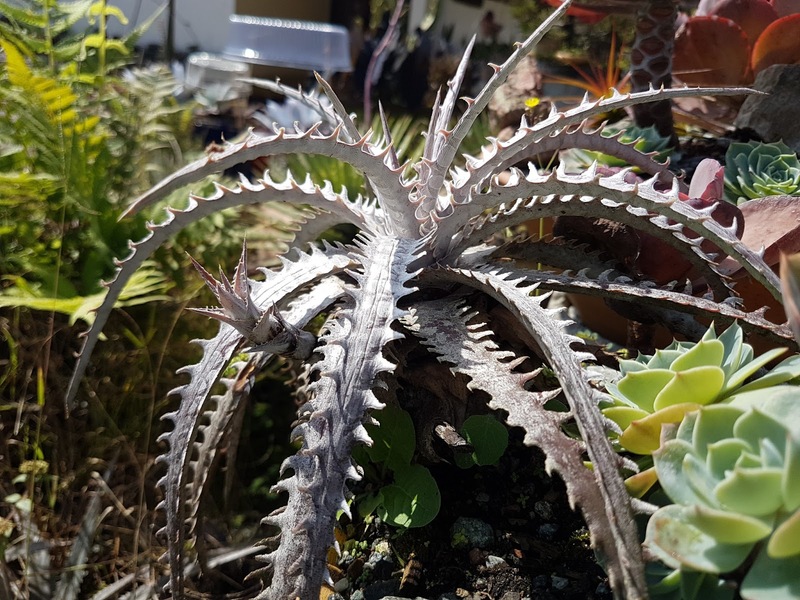 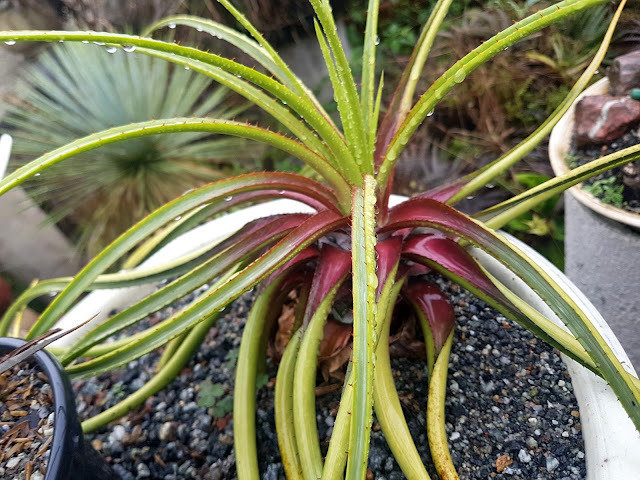 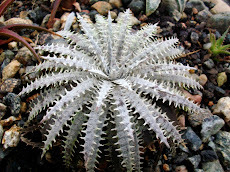 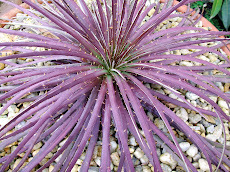 Dyckia paraensis is a rarity, a most pretty one.